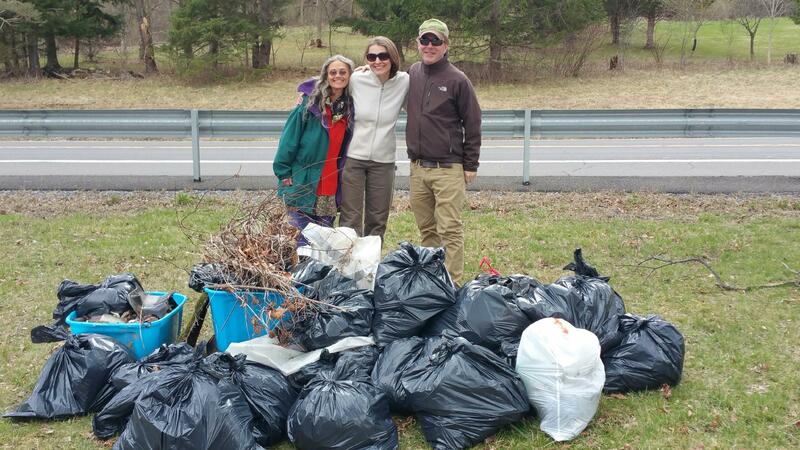 The Cayuga Lake Watershed Network and Adventures in the Finger Lakes co-sponsored a cleanup event on April 2, 2016 to kick off a month of “Embrace the Lake” events. 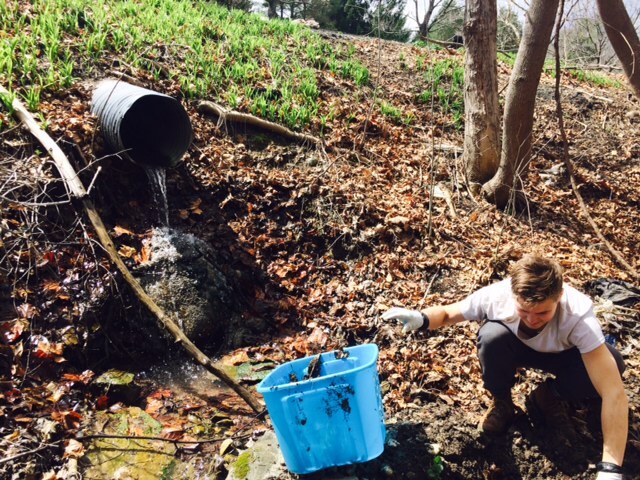 Our goal was to remove trash from the designated stream and woods with hopes of restoring the ecosystem to a healthier condition. 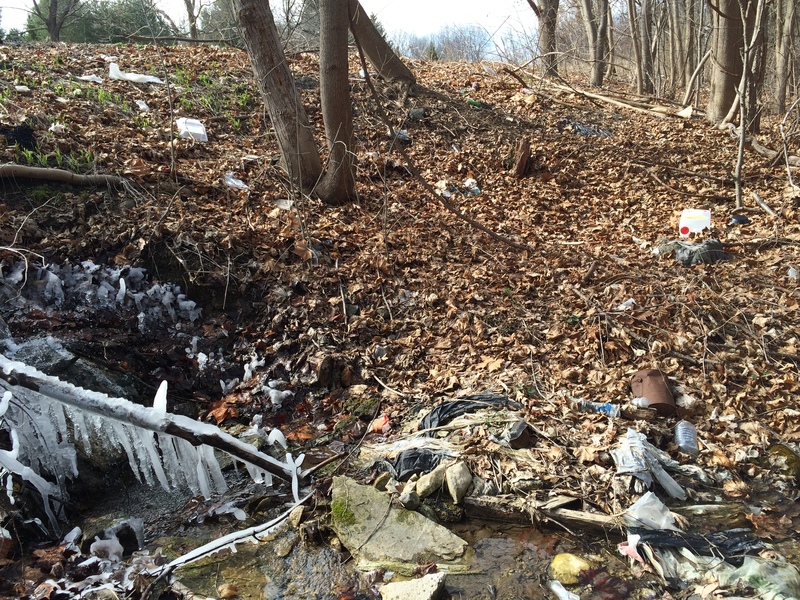 Blue skies and puffy clouds top this view of a stream without trash. 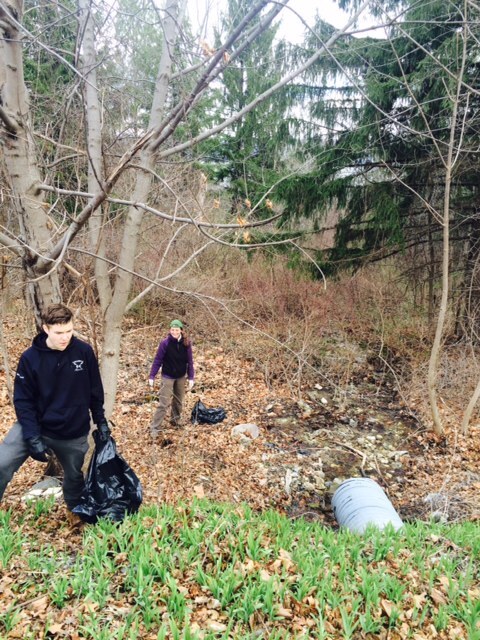 Volunteers from as far as Rochester, NY gathered to harvest trash from the stream and woods on a Saturday with ever changing weather. 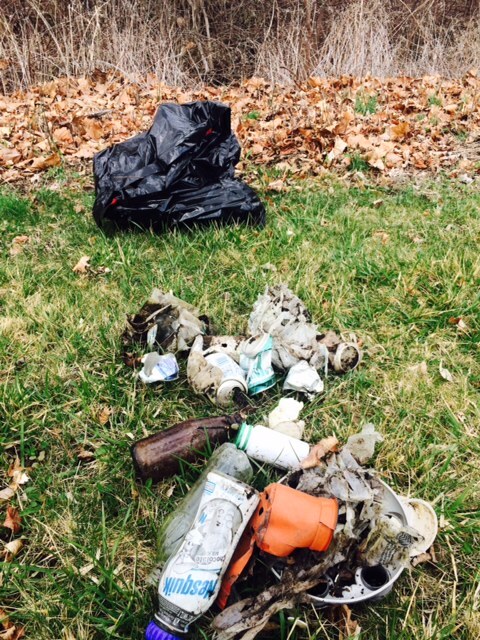 Plastic and glass bottles, aluminum cans, metal machinery parts and plastic debris are shown here after being collected from the woods. 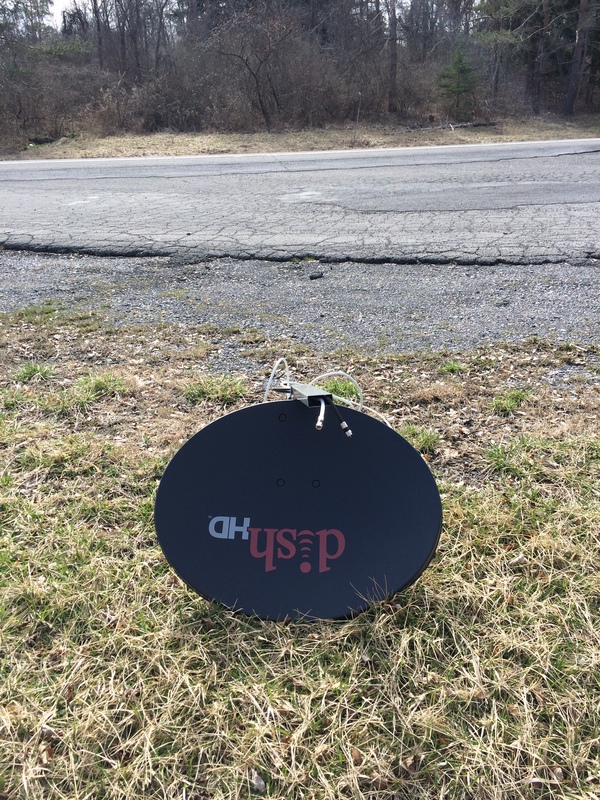 The formerly sighted and documented satellite dish-was gone! Did an artist pick it up to be used in a sculpture? A casual mention of the discarded equipment piqued the interest of a local artist. Further details as to the whereabouts of this dish will be reported here. 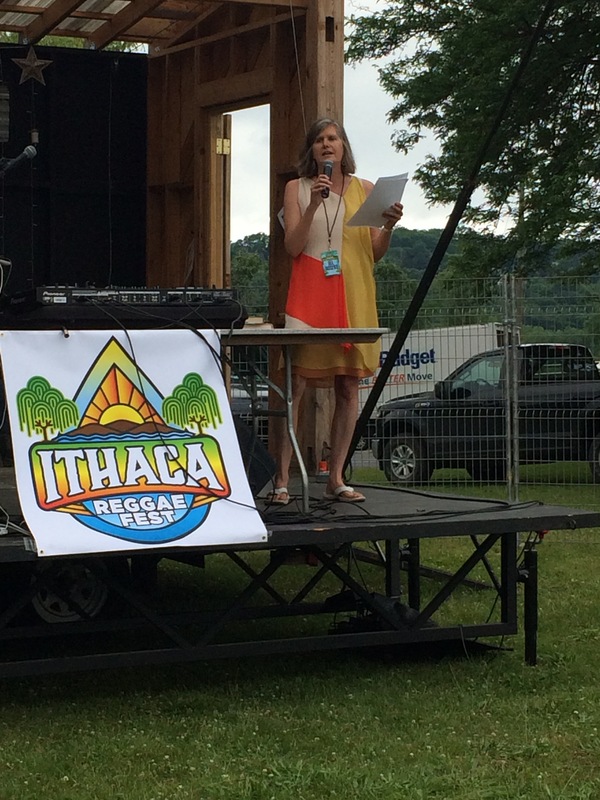 Enthusiasm for up-cycling is nearly silly but it is far preferred to occupying space in a landfill, hillside or stream flowing to Cayuga Lake. GreenStar Co-op treated our volunteers to healthy snacks which did prove key to uplifting morale during the dirty, tough work involved. Mocha Madness was the group favorite-chocolate covered espresso beans, nuts and chocolate. 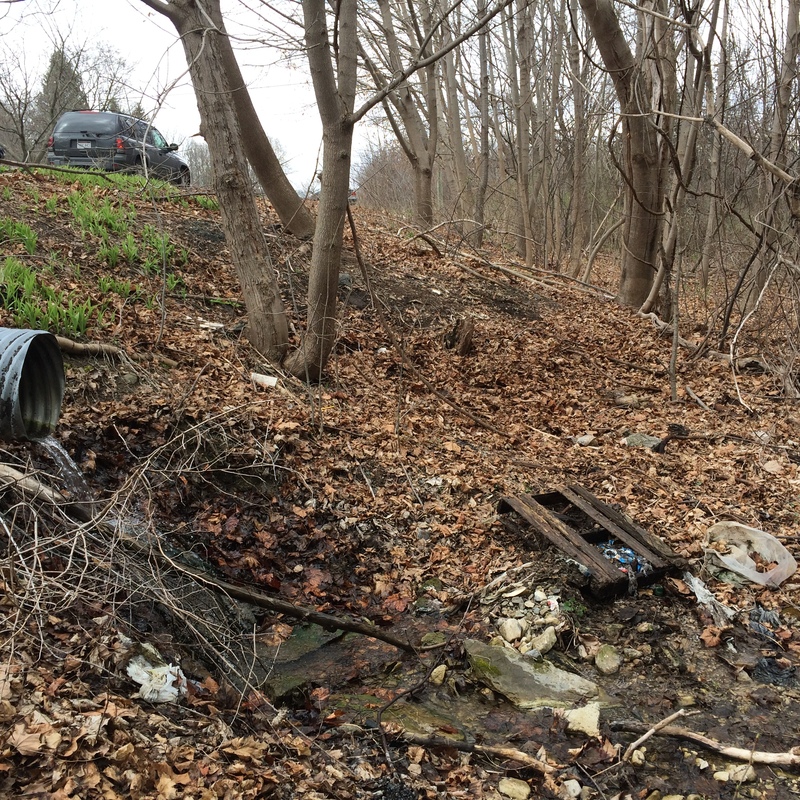 Sincere thanks to GreenStar and all who came together to care for this neglected area in the watershed of Cayuga Lake! 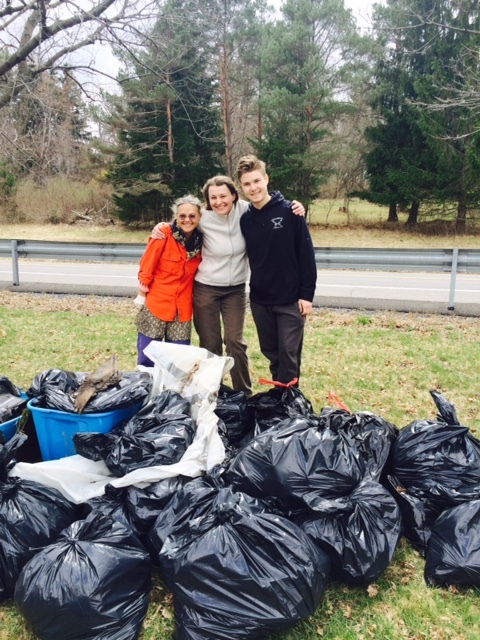 Volunteers were sure to be sore the next day after pushing, pulling and moving garbage. 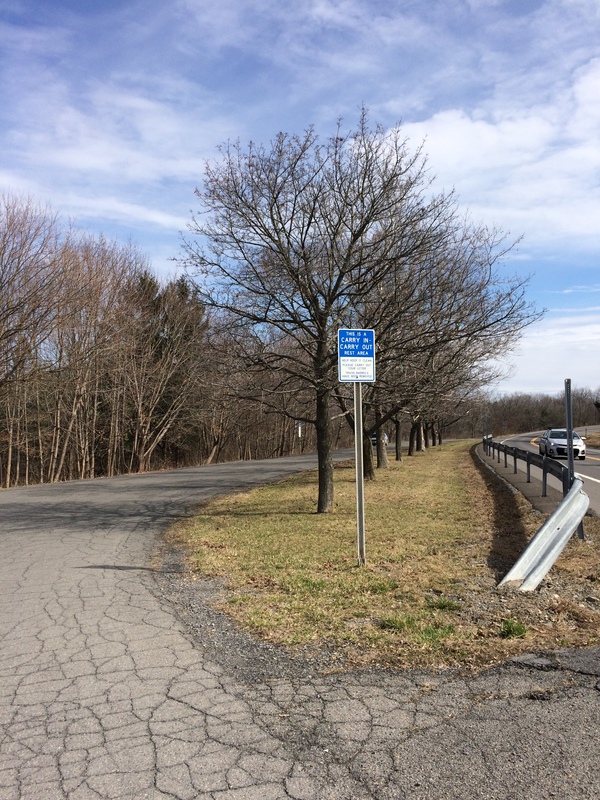 Many adjourned to Bellwether for tastings and a picnic before heading to Taughannock for a quick hike. 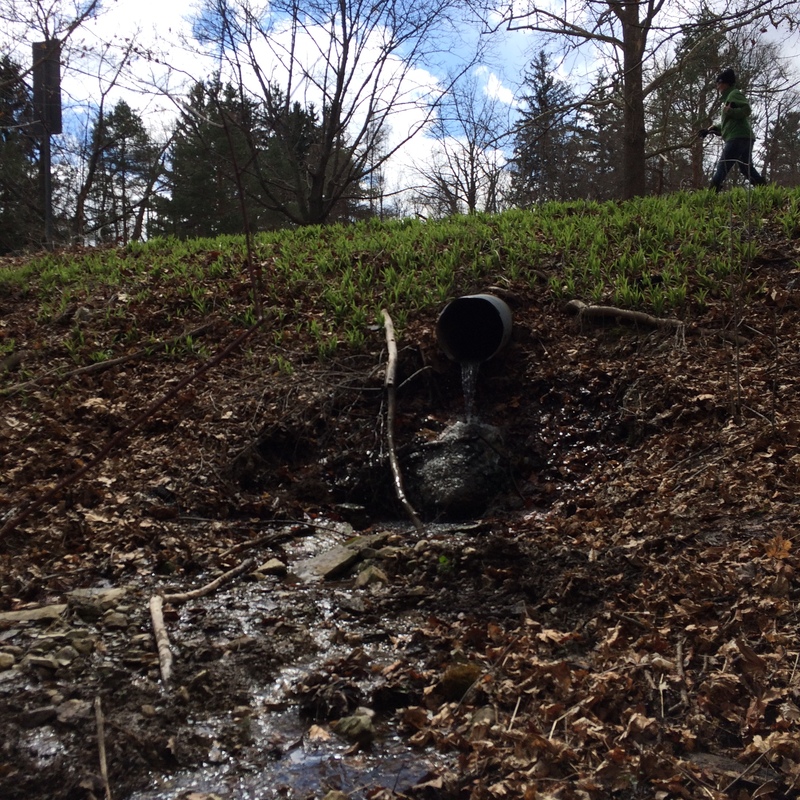 Polluted stream flows through woods towards Cayuga Lake, miles north of Taughannock Falls State Park. 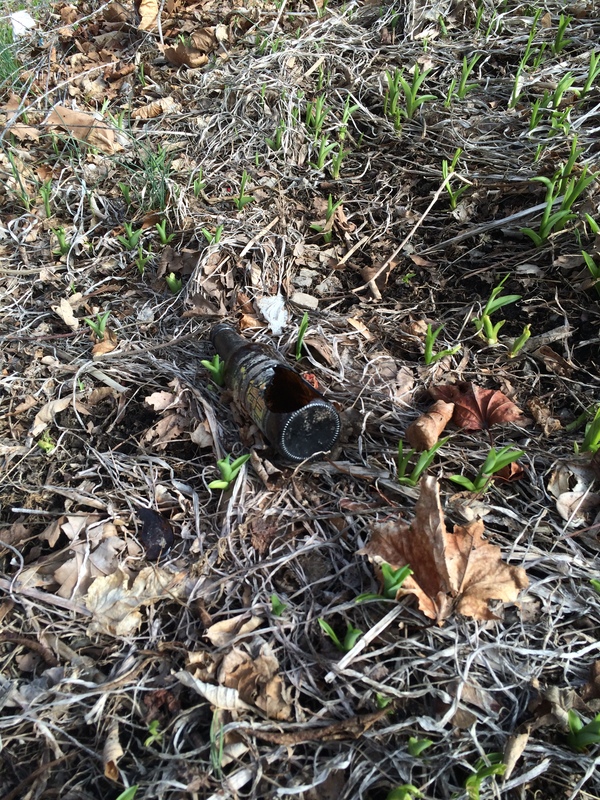 (Photo before cleanup 4/2/2016.